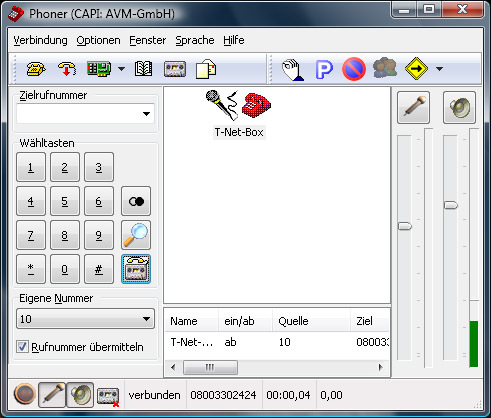 Phoner is a freeware enables voice connections to landline , cellular network and VoIP. Phoner can be used as softphone on stationary and mobilecomputer devices attached to anlogue or digital (ISDN) subscriber lines and as SIP client. Phoner support VoIP/SIP, CAPI, TAPI modes. Phoner can contact a wide range of peers like Asterisk and countless VoIP providers. Phoner is a freeware application for Microsoft Windows, from Win2000 up to Vista. CAPI - If the PC is connected to a PBX or PSTN with an ISDN terminal adapter, all supplementary services supported by CAPI can used. TAPI - is a generic interface for all kinds of communication hardware. It can be a PBX, a telephone or a built-in PC hardware. This is the reason why TAPI development was stopped in Phoner. Qweas is providing links to Phoner 2.65 as a courtesy, and makes no representations regarding Phoner or any other applications or any information related thereto. Any questions, complaints or claims regarding this application Phoner 2.65 must be directed to the appropriate software vendor. You may click the publisher link of Phoner on the top of this page to get more details about the vendor.